You may have heard of Site Rubix and asked, “What is the Site Rubix website builder about? In this review, I will answer this question, first, a brief introduction as to what this application does, its history and a break-down of what it does today, in comparison to its early predecessor. What Is Site Rubix and What Does It Do? Site Rubix initially was a module-based website builder offered on the Wealthy Affiliate platform in its earlier years of existence. The object of the application was to eliminate the need to hand code web documents (pages) which was extremely arduous and time-consuming. It allowed users to buid a website in a modularized way, specifying height and widths of the major elements in a website, such as header, sidebars, content areas and footer. Today, Site Rubix is completely different and bears no resemblence to its predecessor. The modern version is packed with awesome, highly valuable add-ons. While the original object of the application is still the same, that being a time-saver for serious folks running online businesses, this is far improved over the early version, with all the current extras! My experience with the early application was that, though it did save the valuable time it took to build out a web page by hand, it was very limited in effects and somewhat buggy. Styling was also limited. My best description of the results was the sacrifice of unlimited possibilities that came with hand coding for results that were acceptable in a much timlier fashion. I successfully built a fair-looking website with it, which I later went back to handcoding anyway, since the quality doing it the old way was much nicer, and I simply was not happy with the results gotten from Site Rubix at the time. When Site Rubix phased out, it was very soon replaced with what was known as WordPress Express. Again, I was not sold on the WordPress availability of themes available at the time, but nonetheless, finally replaced handcoding to using this new feature. It only got better over time, both in updates and improvements at Wealthy Affiliate and WordPress. WordPress Express phased out in name, but the application stuck. 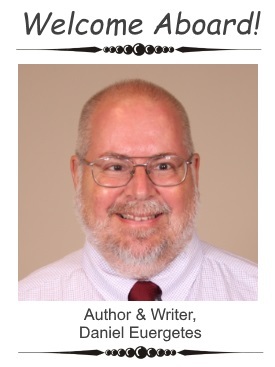 Today, the way websites are created on Wealthy Affiliate bear little difference than what they were six years ago, but have vastly improved, as already noted. Once again, Site Rubix would reappear as the phoenix. To build a core website now, using the application takes about 30 seconds! Content creation for the website still takes work and to build out the site with content takes patience and diligence. For most if its existence, Wealthy Affiliate has offered web hosting for its members, offered free of charge. These details will be covered in another review. With this in mind though, one of the first developments came the added software used for various requirements in website maintenance and security. In its basics, this included website and domain lists, password creation and other basics. A major development to Site Management came with the introduction of SiteHealth. This application analyzes the condition of any website on Wealthy Affiliate servers and reports what it finds on each website. It also offers suggestions on what needs to be done to correct the flaws it finds. This of course, is fortified by the massive library of tutorials and training modules found on the Platform and through community support. Proper maintenace is also stressed and taught in the courses, most notably Jay Magistudio’s weekly Live Video Classes which also sports a sizable library with such sourcess in it! Of the more recent upgrades, SiteSSL and SiteProtect, have proven their value with site security offered freely to all premium members – something that doesn’t come free on other hosting sites such as HostGator and NameCheap. There are hundreds of thousands of websites on Wealthy Affiliate servers protected by SSL (HTTPS,) making Wealthy Affiliate one of the safest places to host websites! SiteProtect is Wealthy Affiliate’s expanded version of spam and malware protection software, also offered freely to all premium members. This application far exceeds and is far more effective than the famous free WordPress plugins, such as Akismet and others. SiteSpeed is yet another notable addition to this lineup. Sitespeed compresses image files enabling websites to load faster than in any other setting. There is much more to be said of Site Management, but these are the most notable. 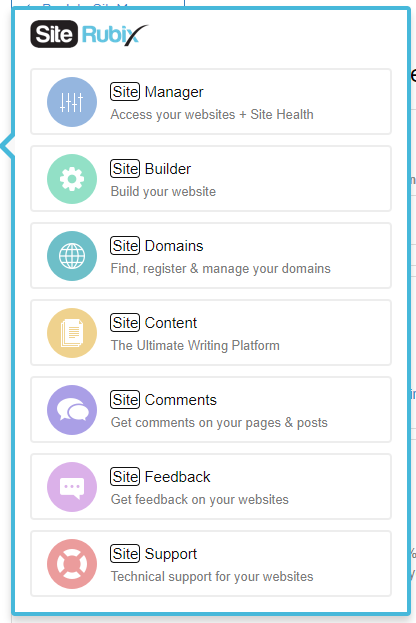 SiteContent does everything one could easily do right in the WordPress back office of a website. Instead of going there to do the work, members use SiteContent because it offers templates, records the number of words per article and how many articles have been written. These items, which are not available in the WordPress back office, are a spin-off of features found on the earlier article directories that used to be found in great abundance on the Internet. In fact, the owners still maintain their article directory, StreetArticles, which like the others, has been in the decline due to changes in search engine algorithm. Albeit, the features are highly useful and are found here. SiteFeedback is a Pay-It-Forward system that uses WA Credits (WA has always had some sort of credits that could be used for incentives and can be exchanged like currency.) There are two ways one can go in this system – requesting feedback on any one of several areas on a website, and offering to take part in the Feedback system for other members. There are requirements in length and quality of any given feedback, and does come with credit compensation. On the other hand, requesting feedback for one’s own website costs credits. The system is invaluable to the overall quality found on websites that have been generated at Wealthy Affiliate! Last, but not least is Wealthy Affiliate’s Site Support, which is a 24/7 operation that goes on at the server level, coming directly from the team that maintains the hosting servers at Wealthy Affiliate. This team takes on everything related to server operation, websites that are on the servers and everything mentioned in this review. Service is prompt and usually on the hour at just any time of the day or night! This is a ticket-based request format and communications between the team and members is through Wealthy Affiliate’s Private Message (PM) system. It is also worth noting that, unlike most hosting services available, Wealthy Affiliate does not jam its servers chock full. All websites on the servers have current backups, which are conducted every 24 hours. If your website goes down, the backup is immediately powerd up and no loss occurs! Site Rubix is but one of the major fixtures found on the Wealthy Affiliate Platform. This review shows the incredible detail that has gone into this massively successful operation at pricing that essentially hasn’t changed since Wealthy Affiliate was a mere keyword list site! The same 29.99 per month amount (which totals to the yearly 359.88 can still be purchased at this price if purchased as a yearly subscription. This is a sizable savings over the current $47 monthly subscription rate now in force. For more information about Wealthy Affiliate and its community, Platform, tools and services, please consult my main Wealthy Affiliate Review. 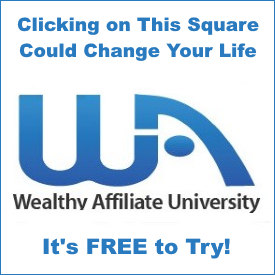 From there you can either check out other related articles or go straight to Wealthy Affiliate itself for further information. Looking forward to seeing YOU inside!